Comments: Dense, rounded form reaching about 30-36". 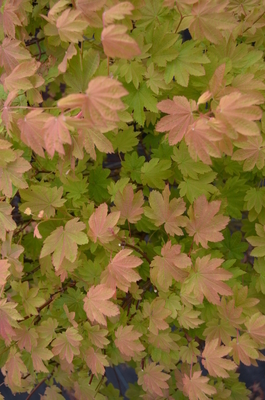 New leaves have a burgundy overlay before turning green throughout the growing season. Fall colors range from bright yellows, oranges, and reds. Discovered as a witch's broom in Vancouver, BC and first grafted in the early 1970's. Does not perform well in high humidity locations.